If you have a question in class (about the content of the class), ask the question in class. Do not wait until after class as perhaps other students may benefit from the answer. Between classes, if there is something you are unsure of, complete the following checklist before emailing your lecturer. Consider that it’s not a good use of a lecturers time to have to respond to questions that have already been addressed in class. Check the slides / notes. If you have completed points one to three, ask the question via your LMS forum. Again, other students may benefit from the lecturers response. Of course I should point out that while students are expected to complete independent readings etc. it is still up to the lecturer to provide guidance and leadership. 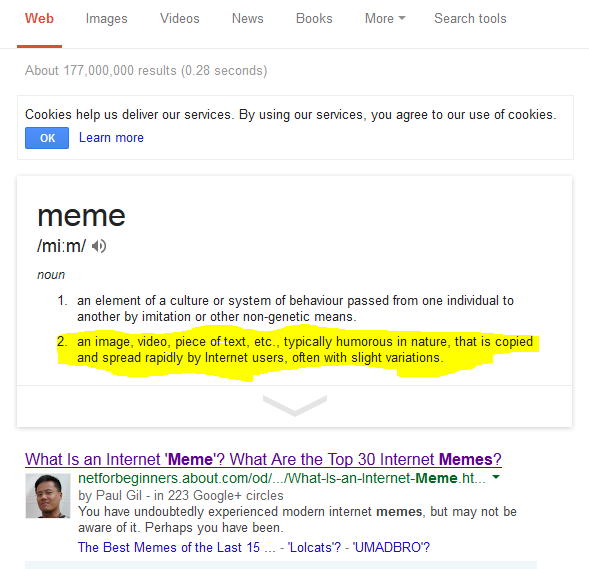 I just wanted to illustrate that in this case, the answer was in the first position on Google and so perhaps demonstrates how important it is for students to take some responsibility over their own learning, or at least try and find out the answer themselves before approaching their lecturer. After all, knowledge is not simply absorbed from a lecturer, but is something that a learner creates for themselves. Apparently he was in an advertisement back in 2006 for Dos Equis Beer. His catchphrase was “I don’t always drink beer, but when I do, I prefer Dos Equis,”, and “Stay thirsty, my friends”. This seems to have taken on a life of its own with people creating all sorts of memes starting with “I don’t always……..”. 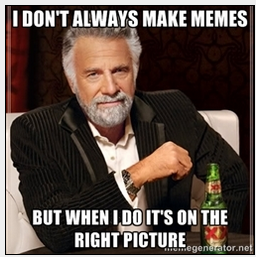 If you’d like to create your own meme featuring the most interesting man in the world visit Meme Generator. While it may feel like you have a lot of content to get through, it is important to take breaks and stimulate other parts of your brain in as many other ways as possible. “Education is not the learning of facts, but the training of the mind to think”. – Albert Einstein. Remember, course work and assignments are meant to stimulate and excite, not stress. I know it’s easier said than done but it is important to avoid the stress trap. This gets in the way of real thinking and learning which in turn will have an impact on course work and assignments. It is indeed a vicious cycle and admittedly one I have fallen into myself in the past. Hindsight is a great thing! Remember, positive emotions greatly impact on our ability to learn. Learn how to learn. There are lots of books and ongoing research into this area so I certainly can’t do this justice on my little blog. I can recommend a very useful book though called Accelerated Learning Techniques by Colin Rose. This may be particularly useful if you are returning to education after being away from it for a long time. It’s a very interesting read and can be left on your desk for dipping into as you progress through your studies.